Chinese astronomers from National Astronomical Observatories of the Chinese Academy of Sciences (NAOC) confirmed the heating mechanism of the Milky Way disc using Gaia-TGAS data and LAMOST data. They also revealed an evidence that the chemical and kinematical properties of thin and thick disc were distinct. The velocity dispersion of the disc stars was observed to increase with their age. It is commonly believed that the increasing trend of age-velocity dispersion relation is caused by dynamical effects, also known as heating mechanism of the disc. Numerical simulations suggested that the transient spiral arms could significantly heat the in-plane motion of disc stars without much influence the vertical motion. Other theoretical work showed that the giant molecular clouds were quite efficient at redirecting the velocity of stars out of the plane. 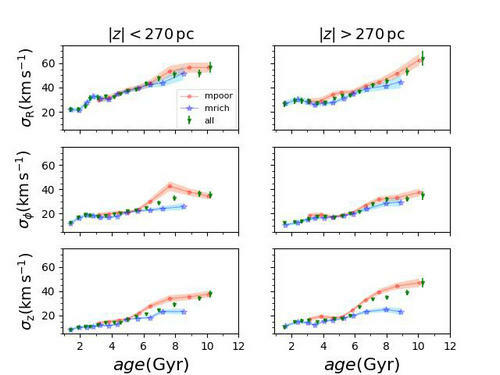 In 2016, Chinese astronomers constructed the age-kinematics relationfor sub-giant branch and low red giant stars at solar neighborhood with new statistical methods. 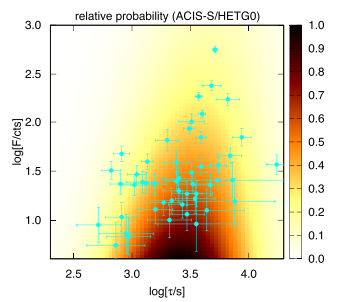 The parallaxes and proper motion were measured by Gaia-TGAS data, while the radial velocities and ages were measured from LAMOST catalogue. 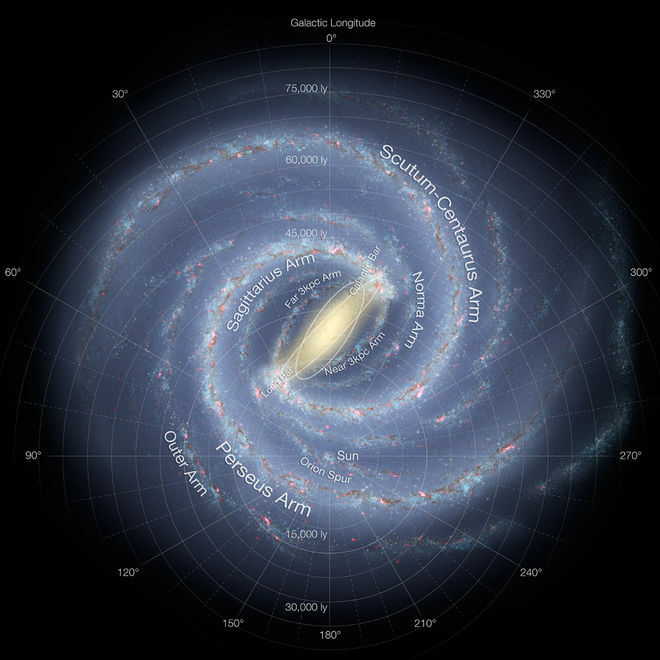 They found that the velocity dispersion increased with age, which was consistent with the prediction of heating mechanism driven by the spiral arms and giant molecular clouds. Their findings also suggested that old, metal-poor population had higher velocity dispersion, which was treated as an evidence that the thick disc component had a distinct chemical and kinematical property compared to the thin disc component.